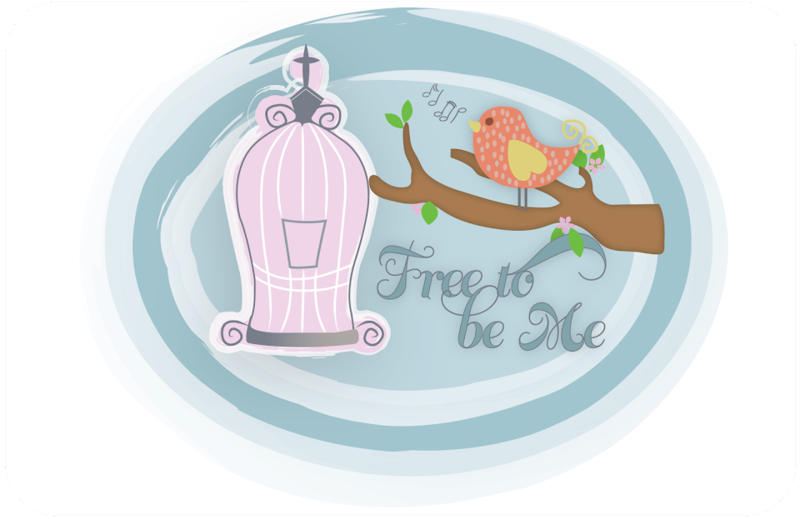 Free to Be Me: She's Back! Well, this year has been a year of big changes and lots of unexpected blessings. It has been a year of feeling overwhelmed for me, though, too! So many changes...so many new relationships...so many new responsibilities added to all the old ones...served to make me feel like a deer in headlights. On the outside I looked pretty calm, but on in the inside I was scrambling! Since my kids need to eat every day and if I don't school them they may have to go live somewhere else...and since my house continues to get dirty, the clothes need washing, the relationships need stroking and the church women need overseeing...the only thing I could think that I could let go of was taking care of myself! Of course, in hindsight, I realize this was a foolish conclusion to reach, but it was where I landed, none-the-less! Sadly, my multiple workouts a week fell to the wayside, my writing dwindled down because I didn't even take the time to ponder much of anything and any type of strategic eating plan was just one more draining thing to have to maintain. So while I tried to look in the mirror and embrace the almost 48 year old face and body that stared back at me, it was becoming increasingly hard and it was my own fault! I invited Jillian back into my life!!! Ugh! I had forgotten how mixed my emotions were where she was concerned! On the one hand she works my tail and that is a good thing! On the other hand, she works my tail in such a way that it makes me hate her just a teensy little bit. I guess I consider her a necessary evil when you get right down to it. At the beginning of the year I was doing P90X or 2 levels of Jillian at a time. Today I managed to struggle thru the first level of Jillian and then get on the elliptical for 20 minutes to finish up. This time around I am bringing a very bum knee to the workouts and so I had to modify slightly, but I did it! It's hard when you have put yourself in the position of starting at square 1 again, but...I started! I took the plunge and I am going to continue because, quite frankly, I am worth taking care of! Hopefully a benefit will be clothes fitting better and a weight deficit slowly recorded, but right now I am just happy to be doing something for myself. Thank You, Lord, for your gentle reminder that I am important, too. Thank You for helping me realize that in taking care of myself I position myself to be better equipped to take care of others. Thanks for motivating me to let Jillian whoop my tail and cause me to push my body to the extremes again! Thank You, most of all for your sweet murmurings that, in spite of it all, You love me just the way I am!! I needed these words today, Barb. I was doing so good for a while- eating right, vigorously exercising, even lost a few pounds. Then a massive wave of insomnia hit again and everything went down the drain. I could barely get through the day much less think about doing anything physical or extra. I didn't care what I ate or what I did. I just needed sleep in a big way. This was by far the worst bout I've had and it lasted for about three weeks. I feel like I'm still somewhat in recovery mode. So...all that hard work and I'm back to my original weight and square one. I keep trying to motivate myself, but it's just plain hard, especially knowing that the exact same thing could happen all over again. Reading about your effort to take this first step helps a lot. Thanks! Good on you, Barb! Are you still going? I know this truth applies to me as well...I just can't figure out how to make it work. KWIM?